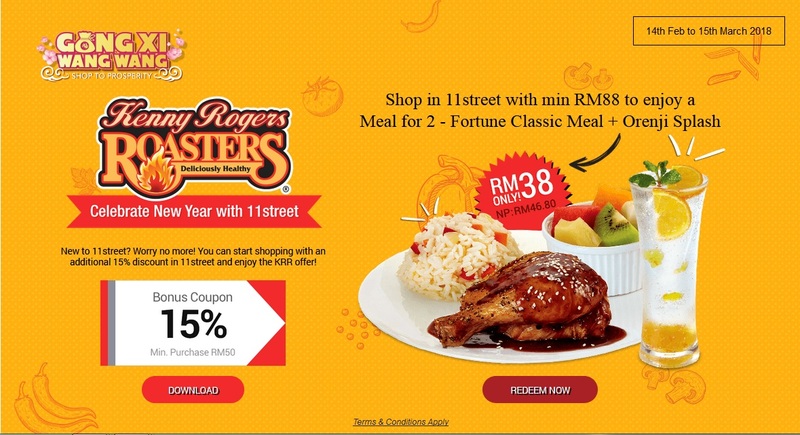 Kenny Rogers ROASTERS Malaysia offer a meal for 2 – Fortune Classic Meal + Orenji Splash at a special price! 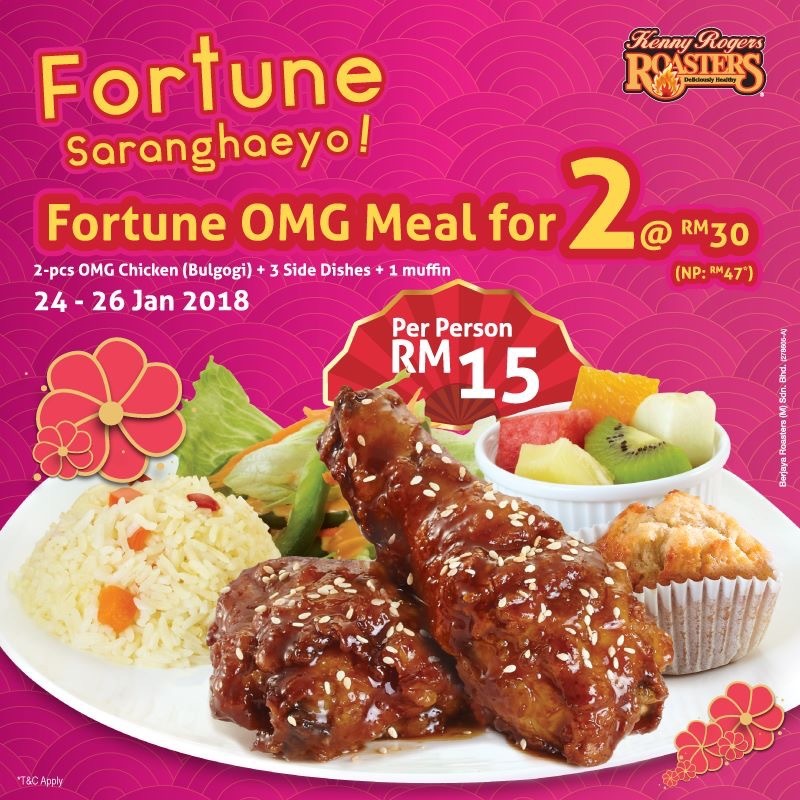 If you shop on 11street MY with a minimum purchase of RM88, you get to enjoy a meal for 2 person – Fortune Classic Meal + Orenji Splash at a special price @ RM38 (NP:RM46.80)! 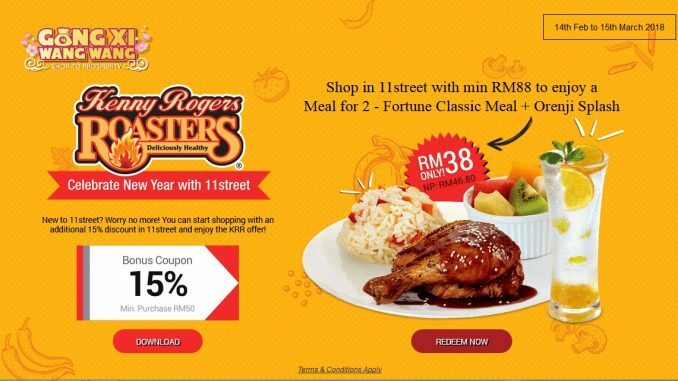 So hurry and get your shopping done now to redeem the meal vouchers! Terms & Conditions apply, while stock last! 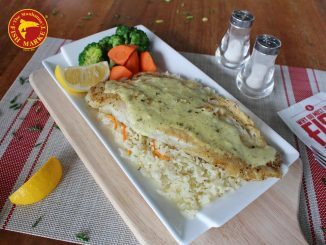 Click to Redeem the KRR e-voucher! 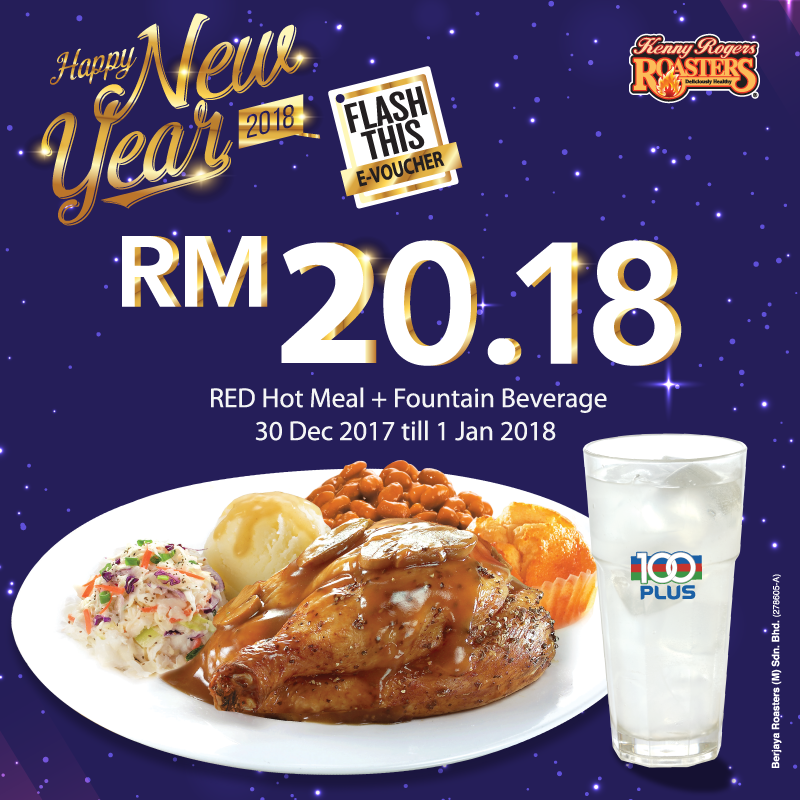 Flash the evoucher shown in the 11street APP in all Kenny Rogers ROASTER outlet in Malaysia except Genting Highlands and Paradigm Mall JB. 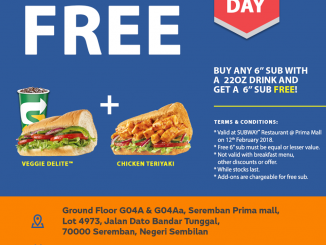 Coupon download will be opened at 11AM. 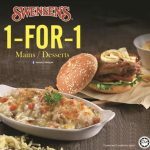 One (1) Coupon is valid for one-time use only. Coupon validity period: 1 day validity. One (1) Coupon type (Shopping Cart Coupon / Shipping Fee Coupon) can be used in a single transaction. 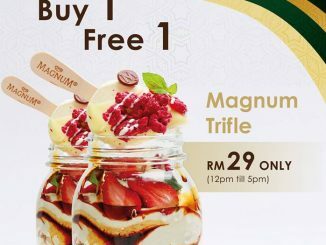 Multiple uses of same Coupons in a single transaction is prohibited. Coupon exclusions apply: Gold bar, gold coins, silver bar, silver coins, physical voucher, mobile top up and other selected items. 11street.my reserves the right to cancel any coupons at our sole discretion, where a member uses more than One (1) ID to download such coupons. 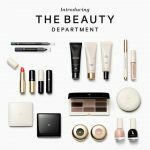 11street.my reserves the right to discontinue the promotion, as well as amend any of the terms and conditions without prior notice. The above terms and conditions are supplemental to the 11street standard terms and conditions for members. 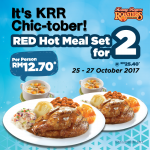 Kenny Rogers ROASTERS Red Hot Meal Set Promo! – 烤鸡2人份套餐优惠促销!